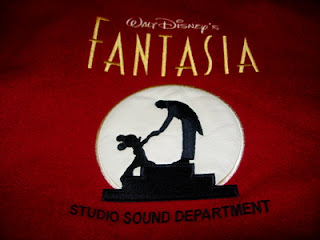 This is a beautiful Fantasia Jacket, featuring Mickey Mouse and the image of Leopold Stokowski on the back. It also says "Studio Sound Department" on the back. 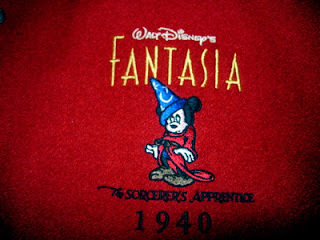 The front has Mickey as Sorcerer Mickey. 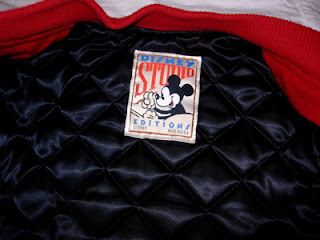 This Jacket was produced by Disney Studio Editions. I bought it at the Disney Store about 10 years ago. The sleeves are real leather. The body is 80% wool. The lining is 100% acetate. 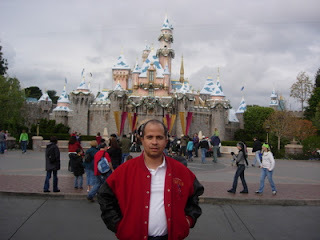 Here I have also included 2 recent photos of myself at Disneyland, wearing the jacket. hey there! Great collection! I mom also has this jacket for women.I was wondering if you know the value of it? thanks for any help! You don't see many of these jackets. My wife bought one back in 1994 I think, when we went back to the Disney Store they were gone. A Manager told us that Leopold Stokowski's estate had sued Disney for using his likeness on the back on the jacket without permission. 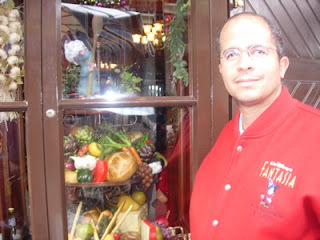 Disney usually makes a particular kind of collectible for a certain amount of time. 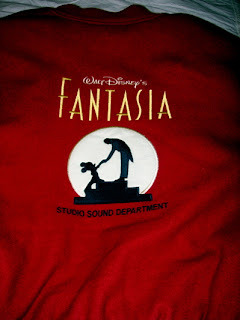 With the Fantasia jacket, this seems to have been very limited. Back when this was sold it retailed at the Disney Store for about $300.00. I imagine that today it could get twice as much or more, depending on the condition of the jacket. Mine is near perfect! I would consider selling if I got an offer that I could not refuse!